How cute are these guys? And if you’re anything like me, once the kids have finished playing with them, you’ll be pinching them for yourself! 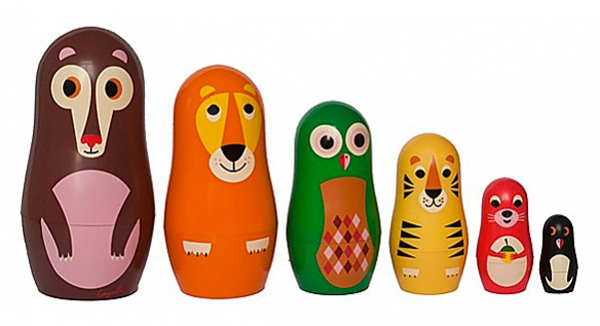 Russian nesting dolls are such useful things – toys, decor items, storage containers, and these ones are particularly adorable. 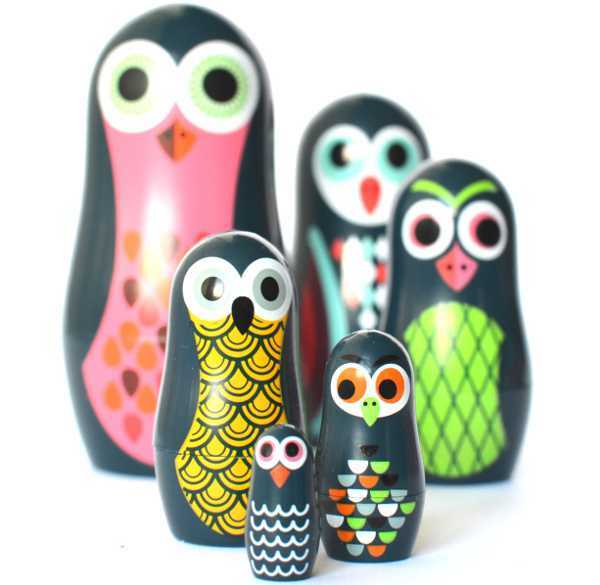 From Omm Design come the Studio Matryoshka Nesting Dolls. There are a few design options: animals, robots and circus, to name a few. Just like traditional nesting dolls they are designs to stack together into one doll – and it’s this puzzle option that children love. 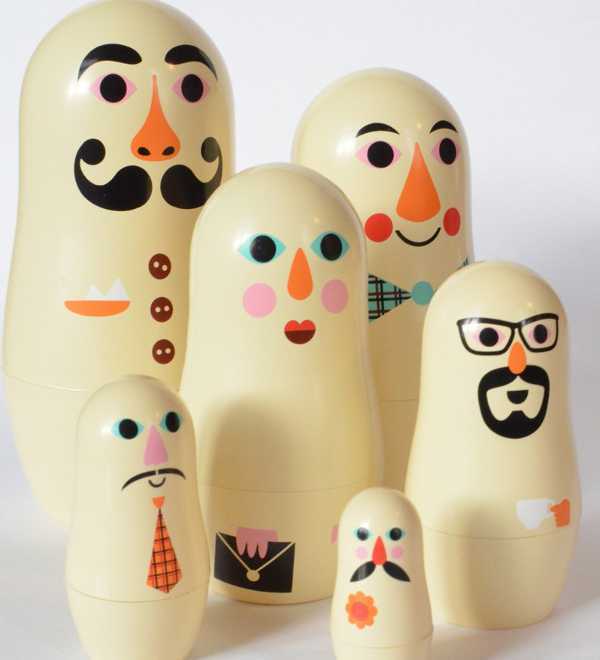 But adults will like displaying these beautifully crafted dolls too, or using them to store little knick knacks. A few of the designs are available locally from Little Me Little You for $30 a set.